Toshiba America Electronic Components, Inc. (TAEC) announces MG08 Series, the industry’s largest capacity 16TB Conventional Magnetic Recording (CMR) HDD. With 33% more capacity than today’s widely adopted 12TB drives, and 14% more capacity than prior 14TB models, MG08 16TB drives are compatible with the widest range of applications and operating systems, and adapted to mixed random and sequential read and write workloads in both cloud and traditional datacenter environments. The MG08 Series is Toshiba’s second-generation helium-sealed HDD family, and eighth-generation Enterprise Capacity HDD family. Toshiba has delivered its industry-leading 16TB capacity and improved power efficiency by utilizing the 9-disk helium design, introduced last year in 14TB models, and its own advanced precision laser welding process to ensure the helium remains sealed inside the drive case. The MG08 features 7,200rpm performance, a 550TB per year workload rating, a 2.5 million-hour MTTF, a 512Mib cache buffer, and a choice of SATA and SAS interfaces—all in an industry-standard, 3.5-inch form factor. 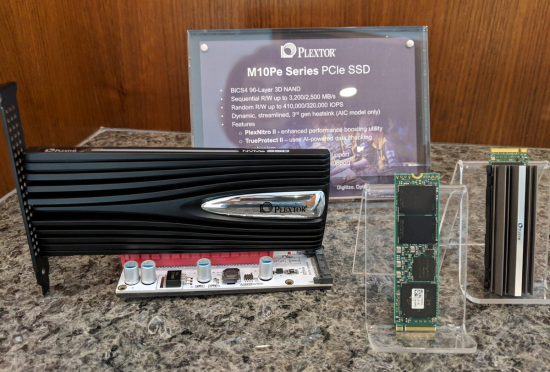 The new M10Pe PCIe SSD Series offers a new level of speed and performance targeted for all PC gamers and applications intensive users. The new series combines advanced 96-layer 3D NAND flash and industry leading controller to deliver impressive sequential read/write speeds up to 3,200/2,500 MB/s and random read/write speeds up to 410,000/320,000 IOPS. At CES 2019, LITE-ON Storage, an established leader in the rapidly expanding solid-state drive (SSD) industry, will preview its first storage device series built around emerging Quad-Level Cell (QLC) technology. The new QLC SATA SSD series is expected to deliver dramatically higher levels of speed, performance and cost effectiveness than current NAND technology and compete with many hard disk drive (HDD) storage offerings. Release of QLC SSD is slated for the second half of 2019. With the exponential growth of data, information technology (IT) leaders are under pressure to reduce infrastructure costs and increase operational efficiency. Storage accounts for a large portion of overall IT funding. HDD can become a bottleneck in terms of speed, performance, and reliability. Seagate Technology plc, a world leader in data solutions, today announced an exciting extension of its portfolio with several new models, including new solid state drive offerings at CES 2019. From gung-ho gamers to Instagram gurus, photo-collecting parents, or visionary creatives, Seagate offers the data storage solutions that empower users to live their best digital lives in today’s fast-changing data-heavy landscape. Today, consumers have more ways than ever to consume content, driving the need to create, distribute and manage data efficiently. According to a recent IDC whitepaper sponsored by Seagate, five billion consumers are currently interacting with data every single day. By 2025, that number will jump to six billion, or 75 percent of the world’s population. Each of those six billion people will have at least one data interaction every 18 seconds, bumping the amount of data created worldwide to 175 zettabytes by 2025. Consumers increasingly need reliable ways to collect, protect, manage and access a good portion of that data, and Seagate’s latest products – including the cutting-edge LaCie® Mobile Drive, LaCie Mobile SSD, Seagate Backup Plus HDDs, FireCuda® 510 and BarraCuda® 510 internal SSDs, and IronWolf® 110 NAS SSD – are designed to fit a variety of data storage needs and digital lifestyles. CDRLabs kicks off the New Year with another look at Crucial's new NVMe SSD, the P1. This time around, we've reviewed the 500GB version of the drive which combines Silicon Motion's SM2263EN controller with Micron's 3D QLC NAND flash. The P1 is also equipped with an ultra-fast PCIe Gen3 x4 NVMe 1.3 interface and is capable of delivering performance well beyond that of your average SATA 6Gb/s SSD. Colorful Technology Company Limited, professional manufacturer of graphics cards, motherboards and high-performance storage solutions is thrilled to announce the latest addition to its rapidly expanding high-performance storage solution portfolio with its latest and highest capacity SSD offering to date. 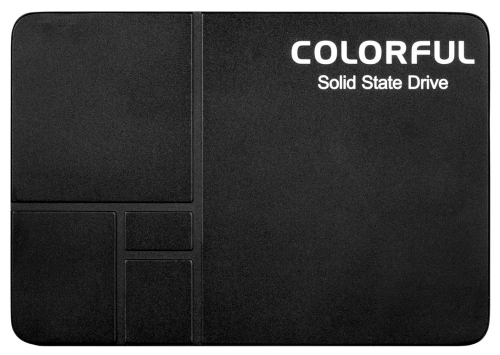 The new COLORFUL SL500 2TB SSD brings massive capacity at a competitive price point giving mainstream consumers a viable option to completely replacing mechanical hard disk storage with high-speed, solid-state drives. The COLORFUL SL500 2TB SSD removes the need of mixing SSDs with HDDs to balance speed and performance, all the while making it much more accessible to mainstream consumers with its affordable price. Power users, gamers and multimedia professionals can now utilize the speed advantage of SSDs without relying on slower HDDs to compensate for growing file sizes. Now you can store all your games, work on large 4K videos all on a single SSD. 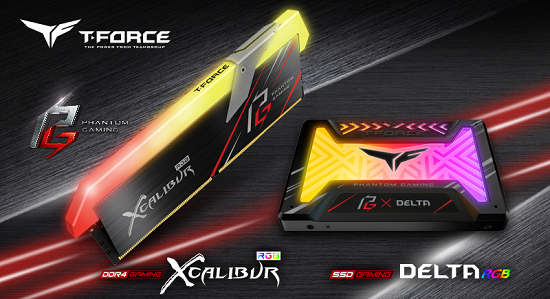 The COLORFUL SL500 2TB SSD brings faster load times for apps and games that will benefit both professionals and gamers alike. 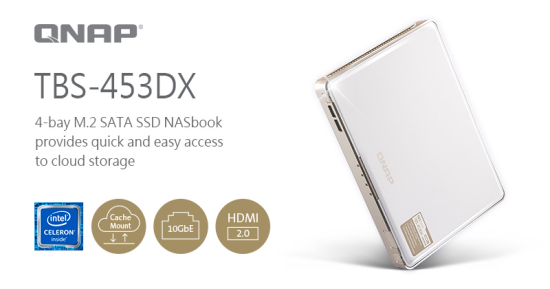 QNAP Systems, Inc. today launched the compact and versatile TBS-453DX NASbook which is designed for small working spaces and mobile workers. Using four M.2 SATA SSDs for storage, the TBS-453DX can also have 20 cloud storage spaces mapped and local caching enabled, providing the ability to work with online files as quickly as local files. The multi-functional and near-silent TBS-453DX provides HDMI 2.0 4K 60Hz output, hardware transcoding and streaming, and features 10GbE N-BASET connectivity based on Aquantia's Multi-Gig controller, making it perfect for creating a seamless high-speed network environment for improved teamwork and smooth multimedia applications.